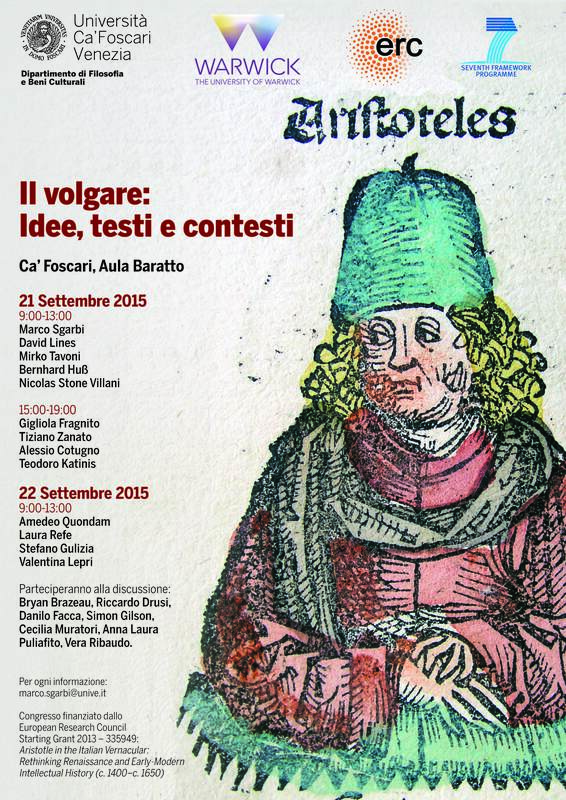 First international conference of the ERC project Aristotle in the Italian Vernacular: Rethinking Renaissance and Early-Modern Intellectual History (c. 1400–c. 1650. 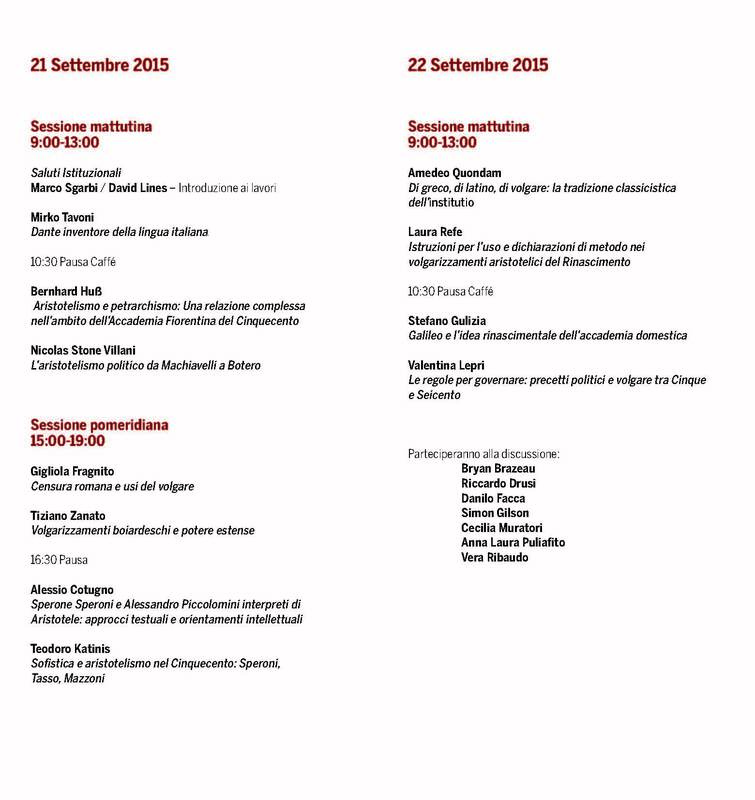 Participants: Marco Sgarbi; Mirko Tavoni; Bernhard Huß; Nicolas Stone Villani; Gigliola Fragnito; Tiziano Zanato; Alessio Cotugno; Teodoro Katinis; Amedeo Quondam; Laura Refe; Stefano Gulizia; Valentina Lepri; Cecilia Muratori; David Lines; Simon Gilson; Anna Laura Puliafito; Bryan Brezeau; Danilo Facca; Vera Ribaudo.